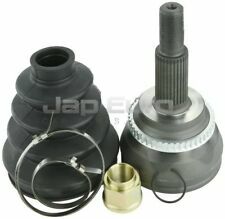 BCB2816 BORG & BECK CV JOINT BOOT KIT fits Honda Civic MA, MB NEW O.E SPEC! 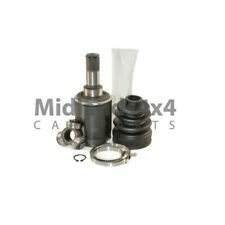 BCB6294 BORG & BECK CV JOINT BOOT KIT fits Honda Civic V NEW O.E SPEC! 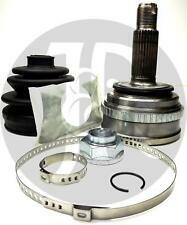 CV Joint Kit - Outer (JE53362) - QTY:1. Highlands, Islands and Ireland such as the following AB31 TO AB56, ON, BT, GY, HS, IM, IV, JE, KW, PA20 TO PA78 AND ON., PH, PO, ZE as well as any OFF SHORE ISLANDS. 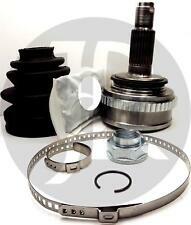 FRONT CV JOINT - OUTER (JE10693) - QTY:1. Any claims after 24 hours will be dismissed for a claim. 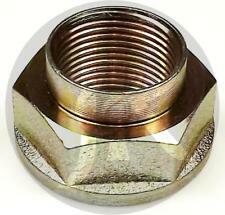 INNER CV JOINT (JE54471) - QTY:1. Honda - CR-V - MK II [2001-2006] SUV - 2354ccm 160HP 118KW (Petrol). Highlands, Islands and Ireland such as the following AB31 TO AB56, ON, BT, GY, HS, IM, IV, JE, KW, PA20 TO PA78 AND ON. 2x Gelenksatz Antriebswelle komplett inkl. Spezialfett für die Vorderachse Der Lieferumfang entspricht der Abbildung. HONDA CR-V Mk II (RD_) 2.2 CTDi (RD9) 2005-2006. HONDA FR-V (BE) 2.2 i CTDi (BE5)2005-. 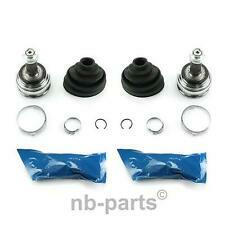 1 x FRONT INNER RIGHT CV JOINT BOOT KIT. HONDA CR-V Mk III (RE) 2.2 i-CTDi 4WD (RE6) 2007-. However delays are occasionally inevitable due to unforeseen circumstances. HONDA CIVIC TYPE R EP3 MODELS 2001-2005. TO FIT PASSENGER SIDE LH SIDE INNER. MINTEX -CTECH ,EBC BRAKES, MAHLE FILTERS -NGK SPARK PLUGS -HIGH VOLT IGNITION, BREMBO, FIRSTLINE SUSPENSION ,QH PRODUCTS, FUEL PARTS. 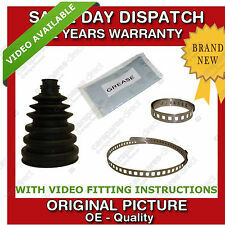 1 x FRONT AXLE OUTER CV BOOT KIT [CLIPS GREASE INCLUDED] FITS HONDA CIVIC 2.0 TYPE R EP3 2001-2005 PLEASE LEAVE VEHICLE REGISTRATION NUMBER AFTER PURCHASE TO AVOID ANY DELAYS IN THE DELIVERY PROCESS!. MAPCO Gelenksatz, Antriebswelle Vorderachse Honda Civic VI Hatchback EJ, EK, Geprüfte Qualtät von MAPCO. Millionenfach werden MAPCO-Produkte in unendlich viele Fahrzeugtypen eingebaut. Gelenkart: Kugelgleichlaufgelenk. HONDA CIVIC VIII Hatchback (FN, FK) Type R (FN2) Hatchback Petrol 09/2006 on FWD 16 201 148. Function Joint, drive shaft. External Teeth, Wheel Side 28. HONDA 44014S9A010, 44014SCAE01. Internal Teeth, wheel side 32. También para NSX convertible coupe | einbauseite en cuenta! 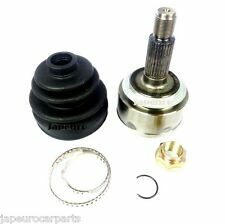 OUTER CV JOINT REAR (JE54472) - QTY:1. Any claims after 24 hours will be dismissed for a claim. Honda - CR-V - MK III [2006-2011] SUV - 2204ccm 140HP 103KW (Diesel). Internal Teeth, wheel side 32. Outer gearing wheel side 28. 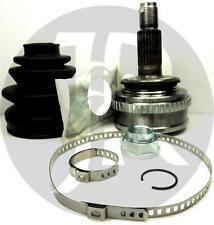 Our Part No's / OE PART NUMBER VAPJCV603AN-C.
Civic Shuttle 1.4 1987 - 91. Civic 1.3, 1.4 (EC) 1987 - 91. Civic 1.6 1987 - 91. Outer CV joint - left hand side. BRAKE CALIPER. LAND ROVER. OUR CATEGORIES. shafts are not suitable for lowered vehicles, call our helpline for advice if you have lowered vehicle. carefully before ordering any Goods or Services from us. BRAKE CALIPER. LAND ROVER. BOOTKIT / GAITER. shafts are not suitable for lowered vehicles, call our helpline for advice if you have lowered vehicle. Firstly you must double check the part number listed is suitable for your vehicle, standard drive. Honda S2000. 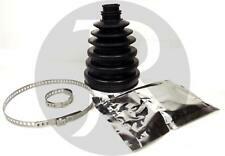 1 x Rear Outer CV Boot Kit. Rear Inner CV Boot Kit. Honda Service Parts (24). Any item that has been fitted or used. New Arrivals. County Durham. West Auckland. LAND ROVER. BOOTKIT / GAITER. shafts are not suitable for lowered vehicles, call our helpline for advice if you have lowered vehicle. BRAKE CALIPER. carefully before ordering any Goods or Services from us.